Straightforward, bold and built to impress, this strong and well finished classic rectangular design offers wonderful versatility. 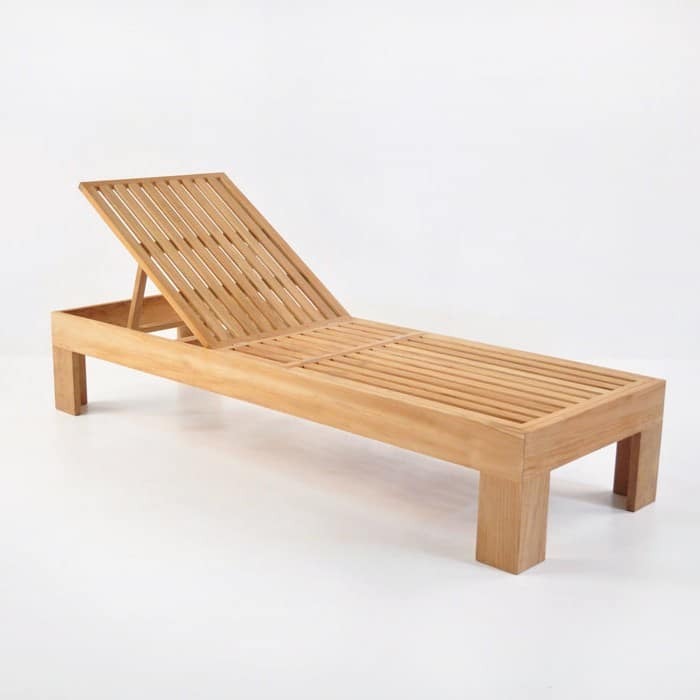 This Teak Sun lounger can double as a bench when flat and offers an adjustable back and measure a full 70 cm wide! 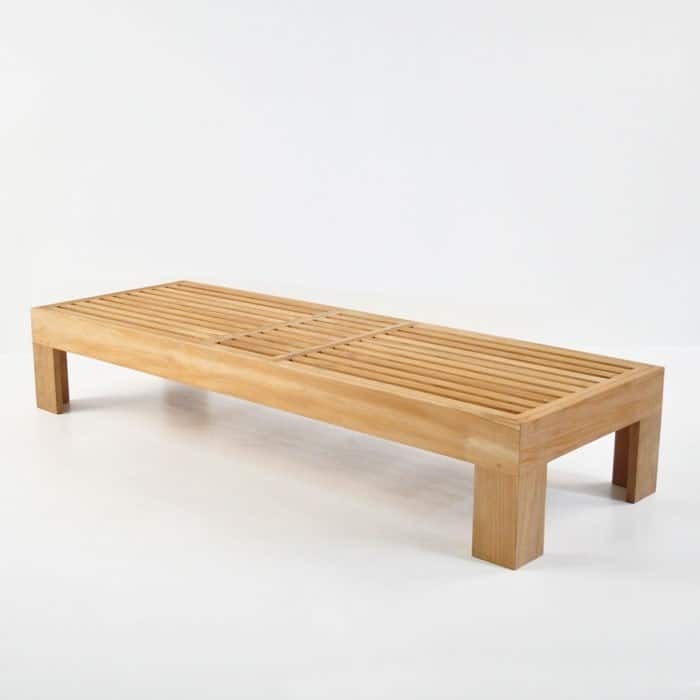 The simple looks of this piece when lying flat make it a perfect multi-purpose teak piece in any space, with the clean, strong, contemporary looks offering an upgrade to any area. 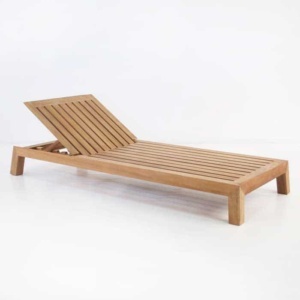 Made from gorgeous golden, honey-colored A-grade teak, this teak sun lounger is sure to offer a perfect sitting space or relaxation experience whether used as a bench or as a sun lounger. Sunbrella Cushions are sold separately. Uniquely versatile like the Havana Sunbed, the Palm can be used as a bench, a sunbed, a double sunbed and more! Sun lounger cushions are sold separately.